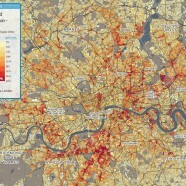 Home » Data » “Cool” London? 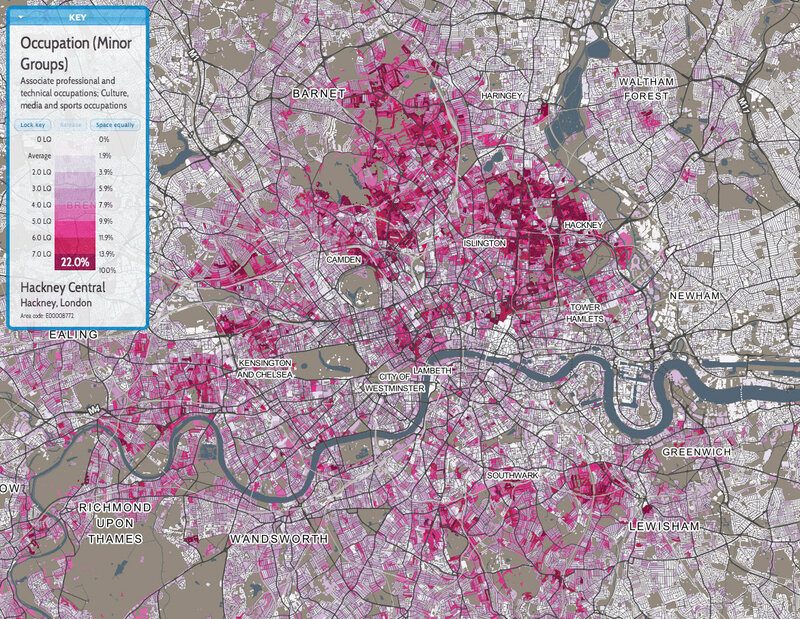 This is the first of a few maps that we will feature over the next few months, that use the new DataShine mapping platform developed here at UCL CASA by the Mapping London editors, to show Census (and in due course other) datasets for London. Defining where “Cool London” is, or specifically will be soon, seems to be a preoccupation for marketing types, property salespersons, small catering business owners, and other people seeking to discover where the trendsetters are moving to. There are a few possible Census metrics that might reveal this. Let’s look at three – housing structure, occupation and travel mode. These are areas popular with graduates moving to London to start their career, who are likely looking for a continuation of the buzz of university undergraduate life, and therefore are likely to be seeking areas that are nice (hence the need for a houseshare to split costs) and have a good range of cafes and bars catering for them. Above is the map of houseshares. Hotspots: Ealing, Shepherd’s Bush, Forest Gate, Leyton, Bloomsbury, Clapham, Tooting, Fulham, West Hampstead, Borough, Shoreditch, Harringay, Tottenham Hale, Hackney. Hotspots: Chiswick, Kilburn, Kentish Town, Muswell Hill, Crouch End, Stoke Newington, Dalston, Clapton, Covent Garden, Brockley, Camberwell, Brixton, Twickenham. Hotspots: Fulham, Battersea, Wandsworth, Putney, Muswell Hill, Crouch End, Clapham. It is up to the reader to decide which if any of these is a true picture of “cool” London! Try defining your own at DataShine: Census. The authors stress that they do not fall into their own definition of “coolness” here. And yes, our collective tongues are very firmly planted in our own cheeks. 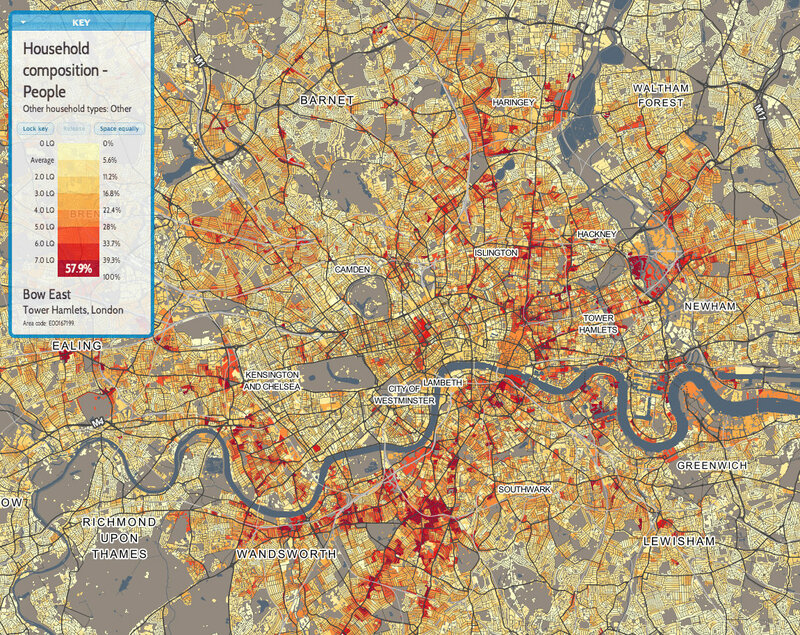 The maps are all based on the 2011 Census aggregate Quick Statistics tables for England and Wales, published by the Office of National Statistics. 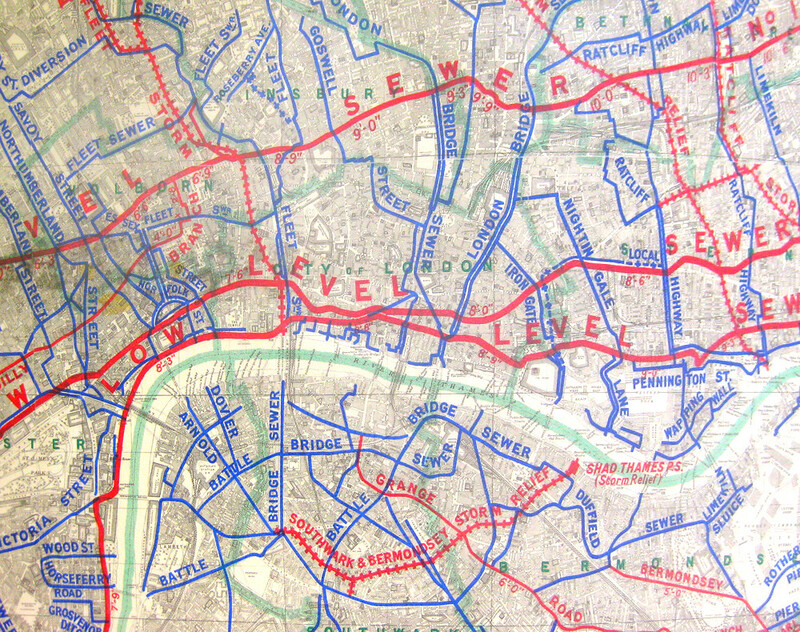 The contextual mapping is Crown Copyright and Database Right Ordnance Survey. 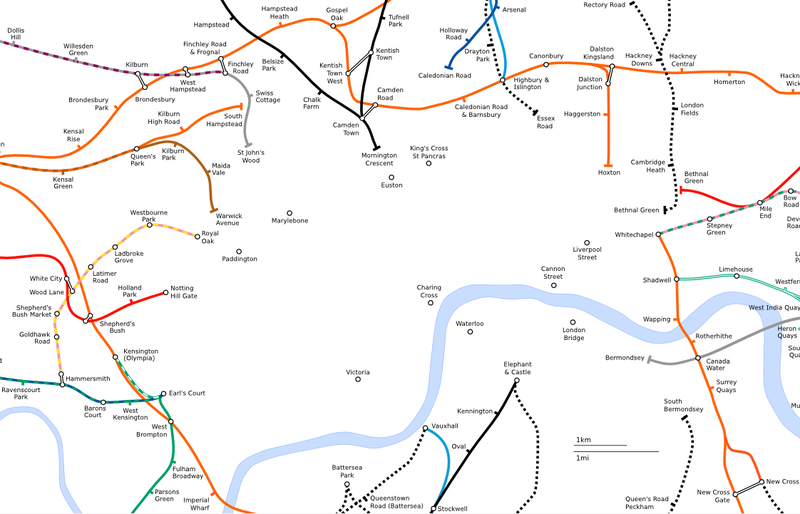 The best series of maps I’ve ever seen-brilliant! It gives a highly accurate account of small populations. I really like the fact that it covers small areas with very similar structures-which is very useful as a mapping tool to represent small areas within such a big city! Do you know where you collated all of this data-as it seems very accurate? 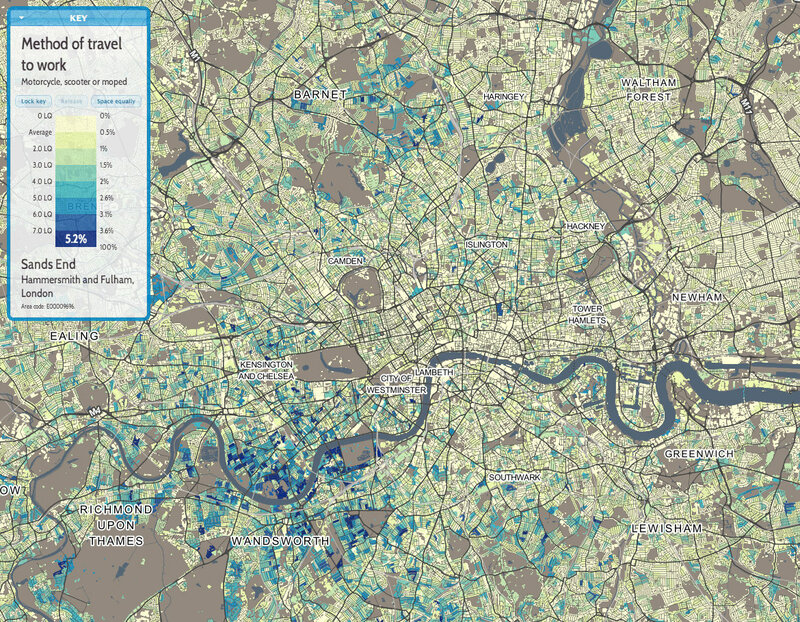 Census data, at Output Area level (so, around 150 homes per value).